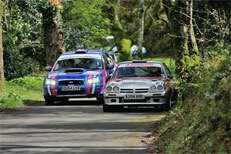 Experience the thrill of driving the Porlock Toll Road in the Somerset Stages Rally! The lovely 4.2-mile scenic route from Porlock towards Lynton dates from the 1840s and was built to offer a more gentle alternative to the infamously steep Porlock Hill. The road was dug out manually to provide work for local people following the Napoleonic Wars. Tolls were then taken at the bottom of the hill by staff at The Ship Inn and there used to be a tollgate opposite what is now the village hall. At busy times of the day staff would run out from the bar to deal with travellers; at less busy times one of the boys would sit by the gate. Today, starting in Porlock, some two miles from Porlock Weir, the scenic route twists through idyllic woodland, offering tantalising glimpses through the trees to Porlock Bay. As the road climbs, never at more than 1 in 14, it passes the toll house where a modest toll (currently £2.50) is collected. dotted with heather, gorse and whortleberry bushes, joining the A39 by the AA Box at Pitt Combe Head. 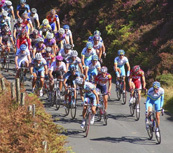 Today the road is used not only by traffic wishing to avoid Porlock Hill, but also by cyclists, walkers and people who just want to enjoy the sensational views. There are several stopping places and a picnic area. The Somerset Stages Rally is organised jointly every year by the Minehead Motor Club and the Burnham-on-Sea Motor Club. The RAC Rally was formerly organised by the RAC Motor Sports Association, now known as the MSA. LeJog (taking the initials of Land's End to John O'Groats) is an organisation for all attempting the famous 'end-to-end' by whatever means.